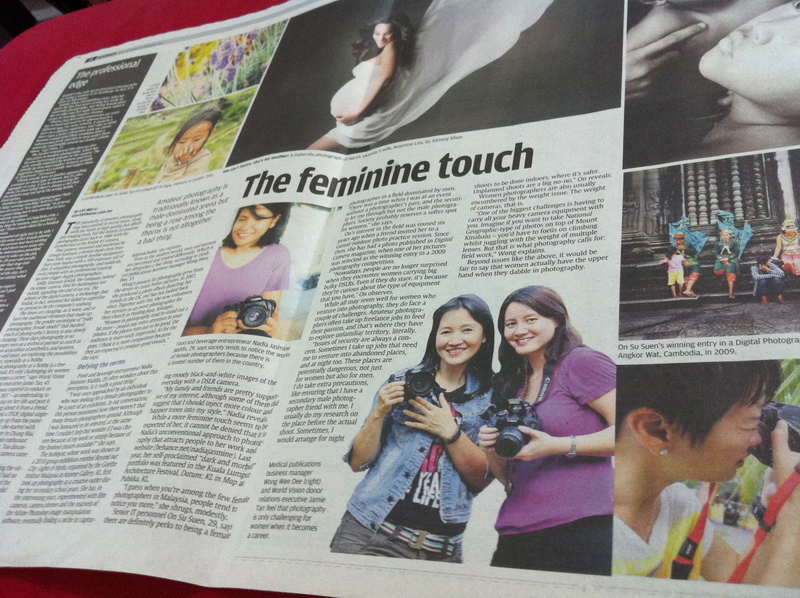 Most of you would have seen or known that I appeared in the Star newspaper yesterday. 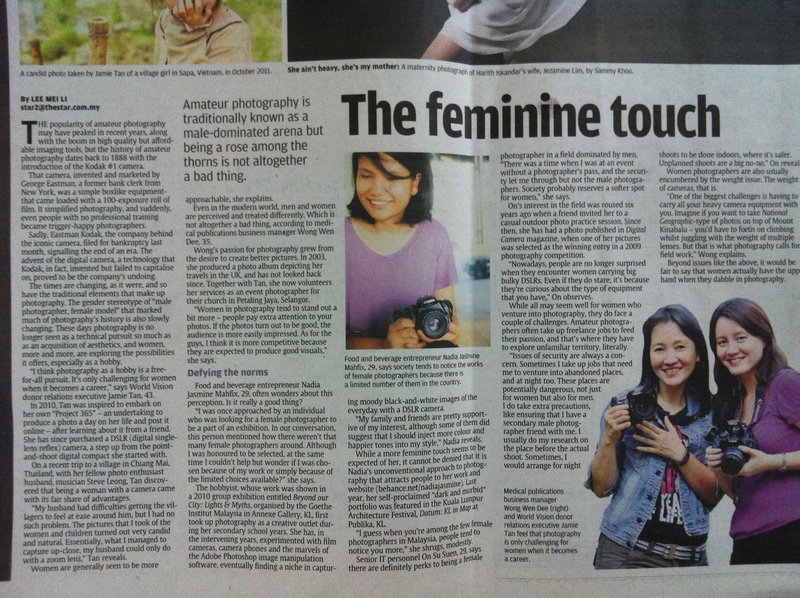 It was my first public appearance in the local press…what I call a “once-in-a-lifetime limelight.” Haha. It all started when Jamie’s friend, who is a Star reporter, said that her colleague wanted to do an article on female photographers as professionals & hobbyist, so asked Jamie if her colleague could interview her on her experiences & challenges as a female in photography. But she didn’t want to go alone, so asked me to join her in the interview. So off we went to meet the writer, Mei Li, in Starbucks one night. It was a nice chat with her…and then she said that she needed some photos of us posing with our cameras. Apparently the last time Jamie appeared in the newspaper (for some other stories), the Star photographer took photos of her & her sons…and they all thought they looked horrible in the photos! So this time, we decided to take the photos ourselves & send them to her. So one fine evening, we went to the Kelana lakeside to model for the article…and we requested for Steve (Jamie’s husband), also a very good photographer himself, to shoot for us. The photos all turned out to be very nice…maybe I’ll put up some later. So we submitted a few to Mei Li for her to choose, and also some of our own shots that we took. Anyway here are some clips of the Star yesterday. 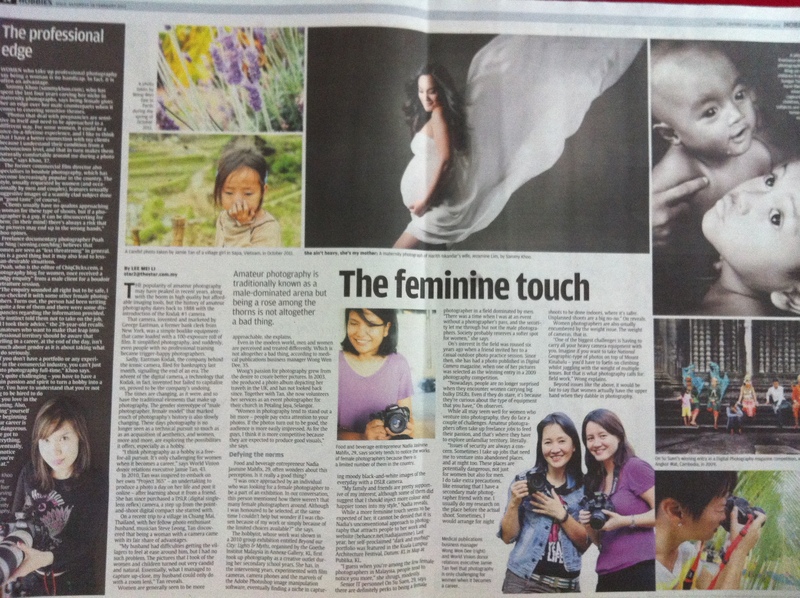 To read the write-up, here is the online version of the article.